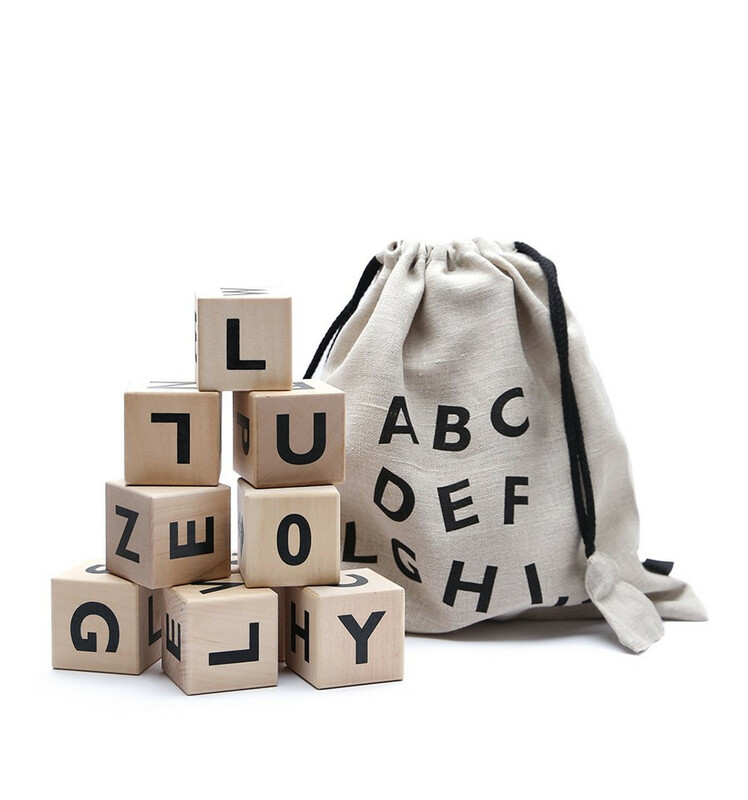 All the letters of the alphabet in their very own pure linen sack. On top of that, we added the numbers 0-9, too. The young one can stack them, count them, learn the letters and spell the first word. The blocks are made of solid wood without any treatment. You can remove general grime by wiping the blocks with a damp cloth. However, if the blocks get dunked in watercolour or meat stew, those stains will be difficult to remove.